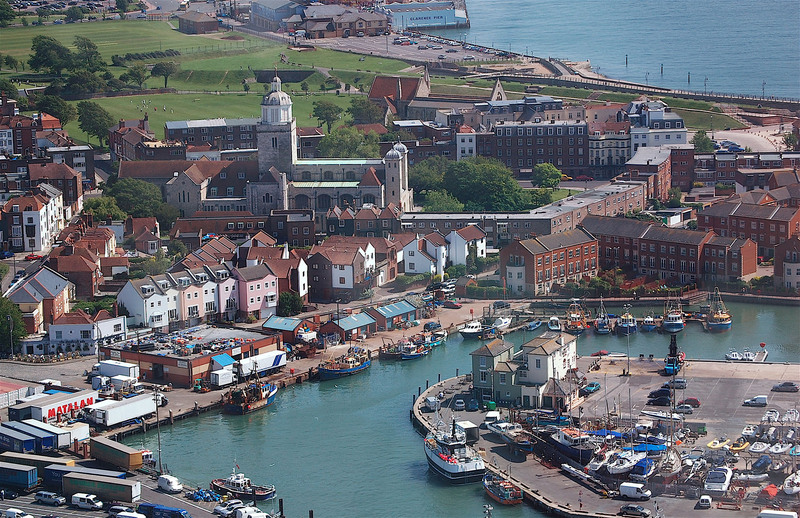 A true South Coast gem, Portsmouth is a microcosm of all that’s great in England. Portsmouth is a city of parallels and contrasts; brutalist and neo-classical architecture sit side by side in Guildhall Square, independent restaurants rub shoulders with popular take-out chains along North End and the dense cityscape is interspersed with large parks and greenbelt areas. Across the south of the island, it still retains the charm of a seaside town, while the central and northern areas are largely occupied by commercial or residential buildings. A relatively small city with just over 200,000 inhabitants, Portsmouth is an important hub for tourists and trade. 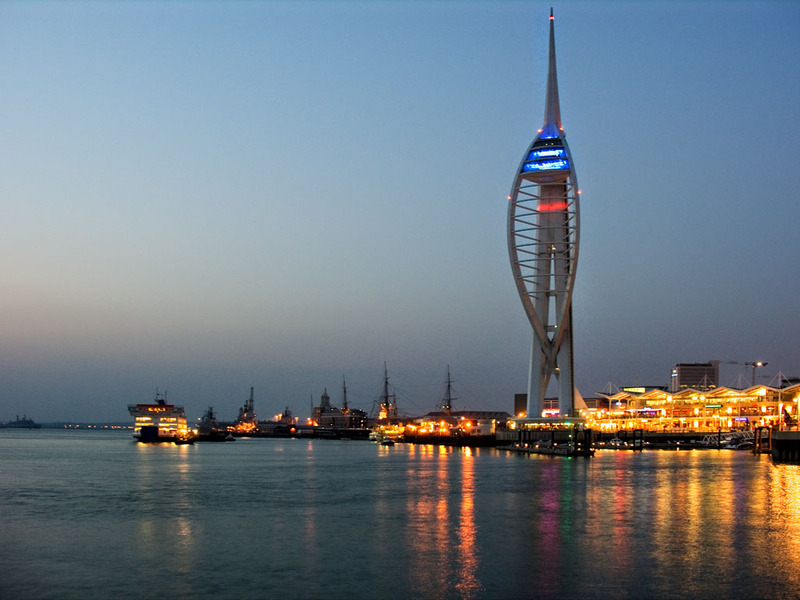 Fondly known as Pompey to locals, Portsmouth is the UK’s only island city, located mainly on Portsea Island. It’s also the only UK city with a greater population density than London. Despite nearby Roman settlements at Portchester Castle, it is believed the island was mostly uninhabited when the Saxons arrived in 501. An entry for the Anglo-Saxon Chronicle claims that Port, a Saxon warrior, and his two sons Bieda and Mægla arrived there and named it “Portesmuða“. The Portsmouth seal, of a crescent moon and an eight-pointed star, was bestowed onto the city by Richard the Lionheart. It had been the coat of arms of Isaac Komnenos of Cyprus, whom Richard had defeated in battle; this gesture reflected the role that Portsmouth servicemen had played in the Crusades. This was far from the last time that Portsmouth played a crucial role in the British Military. Portsmouth was, and still is, an important part of the Royal Navy; a major naval port since Tudor times, it boasts the world’s oldest continuously used dry dock and is home to notable ships including HMS Warrior, the Tudor ship Mary Rose and the world’s oldest naval ship that is still in commission, Lord Nelson’s flagship, HMS Victory. Chosen as the headquarters for the Supreme Allied Commander, Dwight D. Eisenhower, Portsmouth served as a crucial base for the Allies in WWII, especially in the run-up to the D-Day landings but paid a heavy price for it during the Blitz, which killed 930 people. My nan, who was only a toddler when war broke out, was never evacuated. Her family had an underground shelter at the bottom of their garden and whenever the air raid siren would sound, her mother (my great-grandma) would gather her two young children and the family dog, Mickey, into the shelter. Nan recalls a time when she would only have been about five or six, her mother had gathered them into the shelter in the middle of the night. However, when my great-grandma left to gather their elderly next door neighbours to stay in the shelter with them, she didn’t notice Mickey follow her. Nan scurried down from the top bunk, where her younger brother John slept, to rescue Mickey who had headed back to the house. By the time Nan had caught Mickey, the bombs had started to fall and scared that she’d never make it to the end of the garden in time, she sat on the back steps holding the dog close. Her mother, thinking Nan was still asleep next to John, focused on calming her neighbours and making them tea until the raid ended. As a result of the Nazi bombardment campaign, much of the city had to be rebuilt in the years following the war which lead to a trend of brutalist architecture in the late ‘50s and early ‘60s. 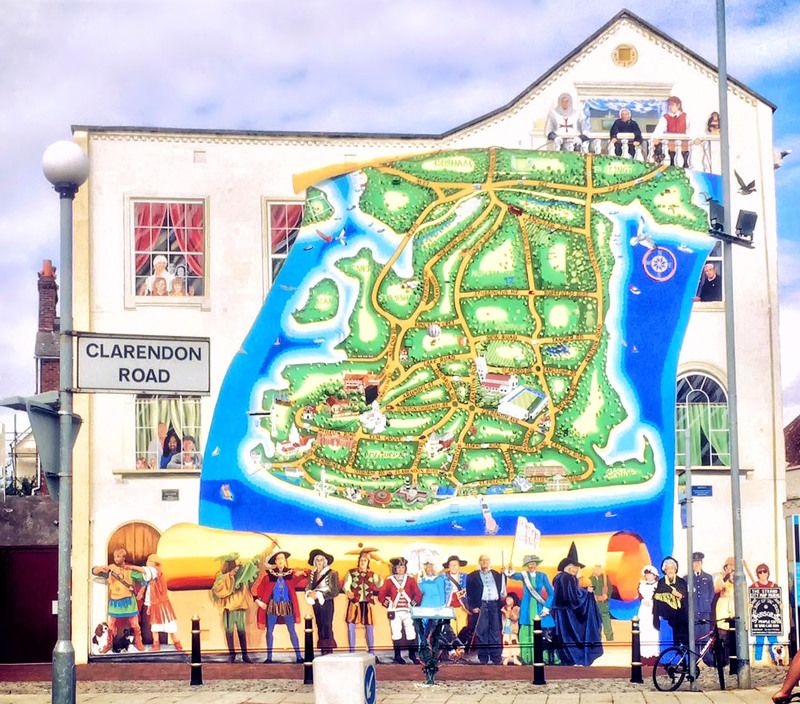 On the south-west of the island lies the borough of Southsea; a mecca for small, independent shops and restaurants and therefore a haven for hipsters. It grew out of the seaside resort area that was developed at the end of the 19th century and although it doesn’t retain all of the original features – South Parade Pier was famously burned down in the 1970s during the filming of The Who’s rock opera, Tommy, and had to be rebuilt – it still captures that nostalgic charm. 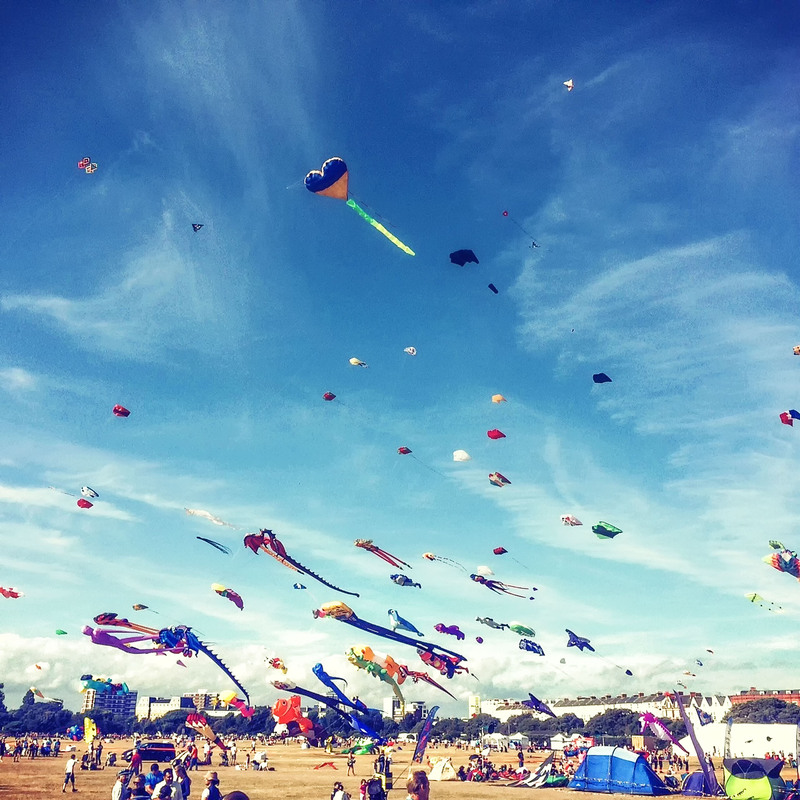 Southsea is only a short walk from the city centre but it feels a million miles away, with large, open spaces like the Common, the pebbled beaches, and even the shopping centre, Palmerston Road, is more spacious and laid back. The Common, which stretches from Clarence Pier to Southsea Castle, was first created to allow a clear range of fire for our military to defend against invaders in the early 19th Century. 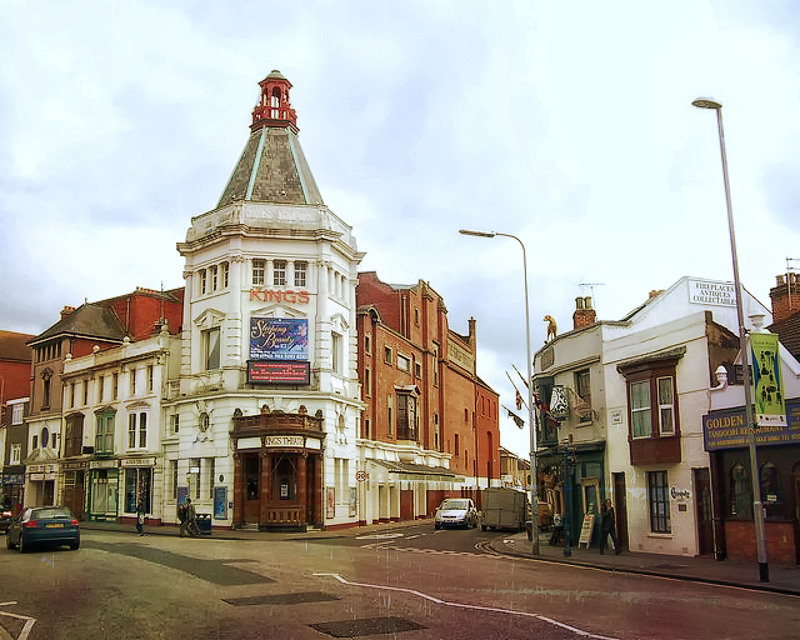 Thankfully it’s now used for recreation, playing host to a range of events including the Victorious Festival, Chinese State Circus, and the Southsea Show. Most of the year it’s free for public use, the perfect spot for barbequing, dog walking or reading under the trees. Speaking of trees, it’s also home an astonishing collection of mature elm trees which, due to their relative isolation, have escaped Dutch elm disease and are the oldest surviving elms in Hampshire. Old Portsmouth represents the oldest parts of the city, lined with cobblestones, and featuring many Victorian age buildings. Inside Old Portsmouth lies the notorious Spice Island, which served as a den of iniquity for sailors who came ashore; its pubs and other establishments existed outside the law once the city gates closed. Portsmouth has some spectacular views from all around the island but some of the best are in the south. On a clear day, you can stand on the beach and see across to the Isle of Wight. Some of the most spectacular views can be seen from the Spinnaker Tower, a 560 feet (170 m) landmark in Gunwharf Quays shopping centre. It’s the tallest UK building outside of London and dominates the Waterfront area; on clear days you can see the entire Solent area, which includes Southampton, Havant, and Gosport. Another scenic place can be found at the very north of the city; Portsdown Hill provides a panoramic view of the island and historic pub, The Churchillian, sits atop the hill providing award-winning locally-sourced food. Portsmouth is home to some of the most important authors in British history; some of whom used the city as a backdrop to their novels. Charles Dickens, author of Oliver Twist and A Tale of Two Cities, was born in Old Commercial Road and his house, which now is a museum dedicated to his life, is a listed building. Arthur Conan Doyle, who wrote the Sherlock Holmes stories, worked in Portsmouth as a doctor and was a goalkeeper for Portsmouth Association Football Club. 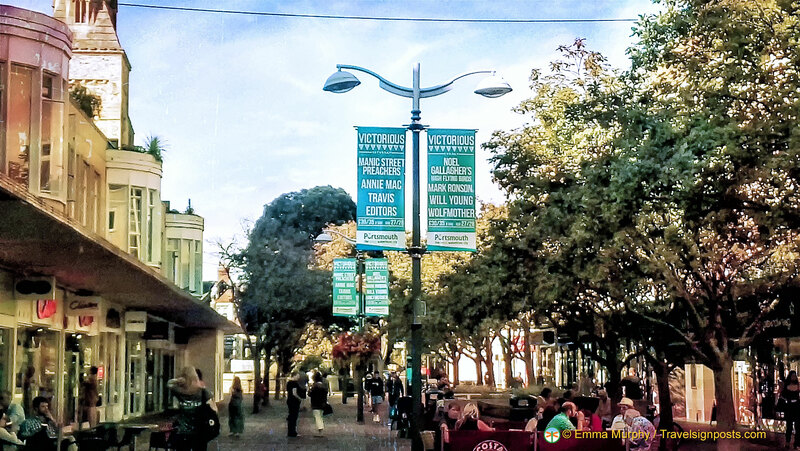 Other famous authors who called the city their home include Rudyard Kipling who wrote the ‘Jungle Book’, H. G. Wells who penned ‘War of the Worlds’ and Michelle Magorian who wrote ‘Goodnight, Mr. Tom’. Not content with housing authors who penned some of the most culturally significant works of the 19th and 20th centuries, Portsmouth has also spawned some of the most successful writers of the modern age including Christopher Hitchens, Neil Gaiman who even has a street named after his novel ‘The Ocean at The End of the Lane’ and Graham Hurley who set his Joe Faraday crime novels in the city. As an aspiring novelist, I swear, I sometimes feel their magic in the air here. As one of the main ports in Britain, Portsmouth has played host to many different ethnic groups over the centuries; some of whom have made it their home. As a result, there is a diverse range of food options from Traditional Chinese to Bangladeshi to Eastern European and just about everything in between. The Golden Curry, a Bangladeshi-Indian Restaurant located near the King’s Theatre on Albert Road, which serves the best pistachio ice-cream in the world. It’s my family’s favourite restaurant; my parents went there when they first started dating and it’s probably the first restaurant they ever took me to. Mardin’s, a Turkish café which beautifully blends middle eastern and English food, is along the main Copnor Road, right across from College Park. This place is another regular haunt for family meals but it’s a lot more recent than the Golden Curry. We have lunch there once or twice a month; the staff are always friendly and they serve the strongest coffee I’ve ever had. Park 27, a Chinese café which does some fabulous lunch options, hidden down a side street in the town centre. It’s very small and mainly caters to the large Chinese population in Portsmouth but if you can get a table it’s more than worth it. Another great thing about visiting Portsmouth is that it’s such a convenient area to travel on from; you can visit other picturesque areas like the Isle of Wight and the New Forest or bigger cities like Southampton and London. All of these are within two hours’ travel of Portsmouth whether by car, train or ferry. 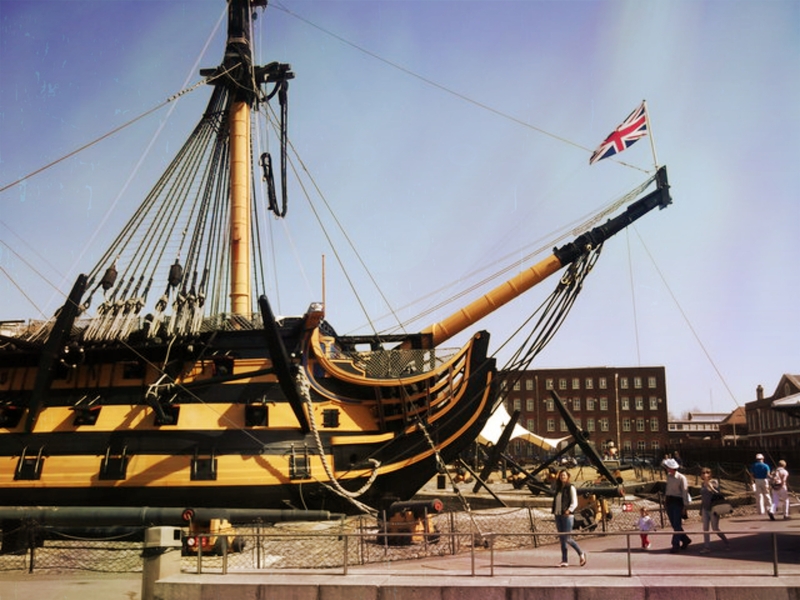 Portsmouth has a lot to offer and it will take more than a long weekend to explore and experience all the historic, scenic and culinary treats available. Even if you’ve been before, you won’t have seen it all; the island may be less than two hours’ walk from the Hilsea Lido to the Southsea Rock Gardens but, ironically in such a historic city, the landscape is always changing. Emma is a freelance writer with over a decade’s experience in content production for newspapers, magazines, online publications and local radio. She takes her coffee seriously and wears odd socks because life’s too short. When she is not writing, she can often be found daydreaming about the cat island in Japan. Beautifully written Emma, printed off for Grampy, as you know he was born and brought up on the . Welsh borders. He is fascinated by our lovely City and has been to many of the places you mention, loves all the important ships in the Dockyard and has visited many of them. He says we have a very clever Granddaughter.